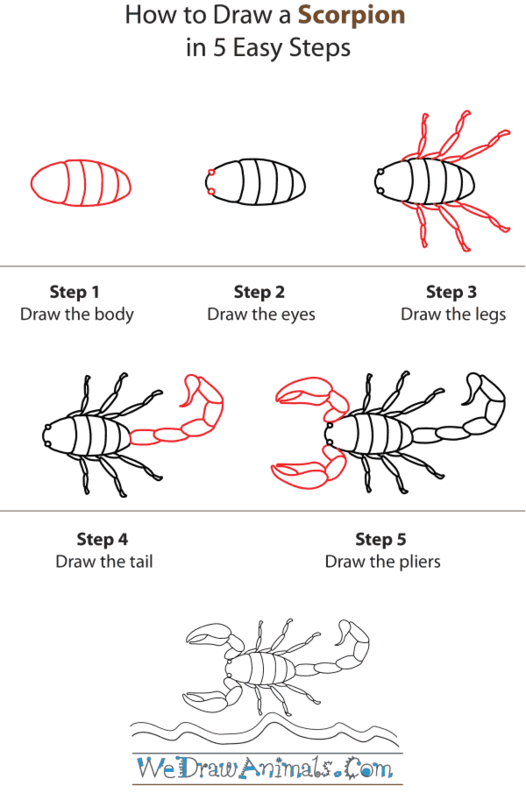 In this quick tutorial you'll learn how to draw a Scorpion in 5 easy steps - great for kids and novice artists. At the bottom you can read some interesting facts about the Scorpion. 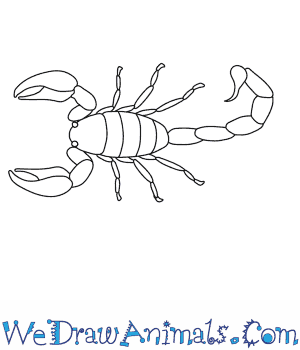 Step 1: Let's draw a scorpion! Trace an oval shape, laying it on its side. Trace about four lines on one side to outline the body. The bigger part will be left for the head. Step 2: Add to small circles for the eyes toward the top of the head. 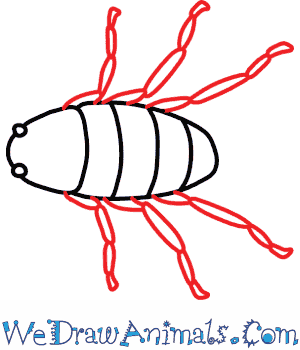 Step 3: Next, you will draw six legs, three on each side of the body. Here's a tip: instead of drawing one long line, draw each leg in four different parts. Start with a small oval shape, then trace a long skinny oval, and finish the leg by attaching another two smaller ovals. 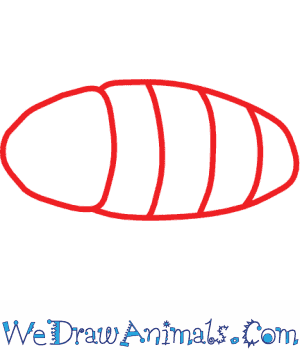 Step 4: Like the legs, instead of drawing one long tail, draw three ovals along side each other. Add another oval that's standing upright, then a longer oval that is angled to the left. 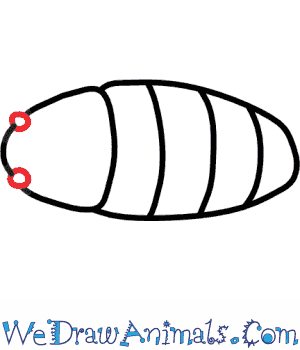 Finish with the pincer by tracing a circle and adding a triangle at the tip. Step 5: Now for the claws! For the arms, draw two, thick oval shapes, making sure they touch at the bottom, so that they look like a chubby letter Vs. Draw a big oval at the end of each arm, then trace two lines through the middle, making the inside of the claws look like an eye. There's your scorpion! Scorpions are arachnids, just like spiders. All arachnids have eight legs, and they do not have antennae or wings. The lifespan of most scorpion species is unknown. The smallest scorpions grow to be about one inch long. The largest scorpions grow to be almost 10 inches long. Scorpions are nocturnal. That means they are active at night time. Scorpions are poisonous. They use their poison, called venom, to kill prey and defend themselves against predators. About 25 species of scorpions have venom that is harmful enough to hurt a human being. Scorpions live on every continent except Antarctica. There are more than 1,200 species of scorpions. Some examples are the desert hairy scorpion, the emperor scorpion, the Arizona bark scorpion, and the Asian forest scorpion. Scorpions have been around before dinosaurs roamed the Earth. Scorpions can survive between 6 and 12 months without any food. 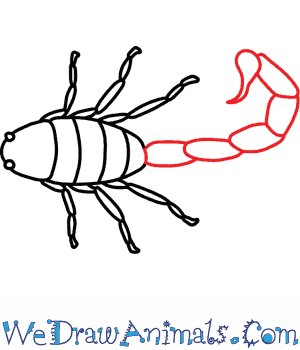 Scorpions are shaped like lobsters, but smaller. In China, it is a treadition for people to eat fried scorpions. In certain countries, scorpion venom is used in medicine for humans. 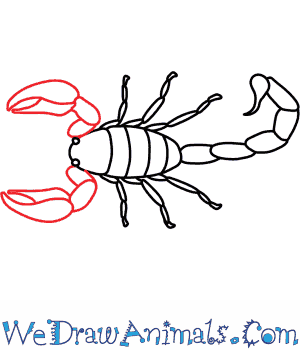 The scorpion symbolizes the Zodiac sign Scorpio.